You Must Choose A Shipment Freqency Of 30 Or 15 Days To Activate The Autoship Otherwise Your Order Will Be Canceled. We are excited to announce our auto-ship subscription program. You now have the exclusive opportunity to invest in the very best network marketing tools of all time at deep discounted prices. No waiting for group buy sales goals to be reached before your product ships. Save time, energy, & money every month by automating the ordering process. When Will My Products Be Shipping? Your product is automatically shipped out every 15 or 30 days from the date of your original purchase. How Do I Make Changes To My Auto-Ship Subscription? You have full control over your subscription within the my account settings. You can easily make changes to the shipping frequency, Change Payment Method, Stop or Start your auto-ship subscription. You will no longer be forced to pay high retail prices again. You now have the ability to buy as many or as few products as you would like while paying 1 flat rate per product along with getting FREE SHIPPING ( USA orders only ). We have significantly discounted the price to reward you for commitment to order every month. Please do not sign up for the auto-ship program if your intention is not to have products shipped out to you every month. Who Was The Auto-Ship Program Created For? We created this program for existing leaders in the network marketing or direct sales industry, aspiring leaders looking to take there business to the next level. Anyone who has a desire to start prospecting on a large scale or would like to empower their team with the tools & resources to succeed. The auto-ship subscription program is also perfect for those people who actively prospect using these tools and require more each & every month. You can play a huge part in helping everyone receive the lowest rates possible by spreading the word about this auto-ship subscription program. The more people that are participating in the program will allow our company to offer you the most competitive rates anywhere. We invite you to take the time to share this website with your entire organization. 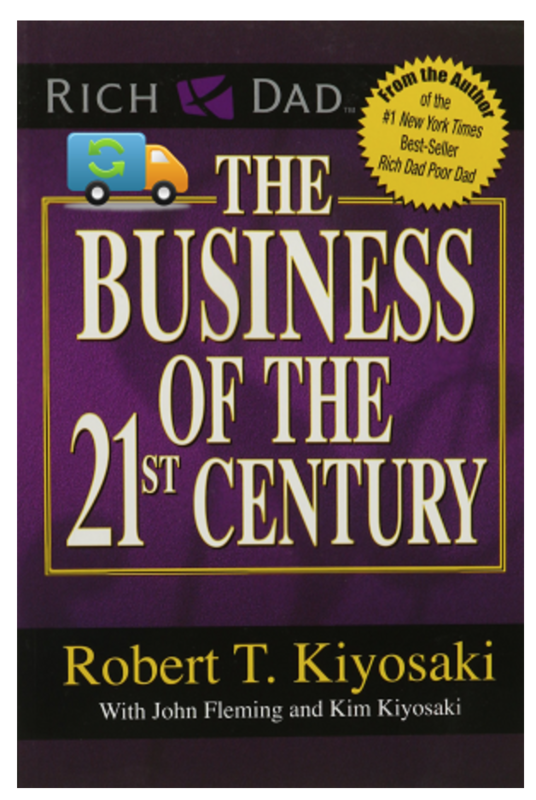 Robert Kiyosaki believes in the power of network marketing! In his new book, he explains why this is the best time to start your own business and secure your financial future! For the past several years, multimillionaire businessman, entrepreneur, and investor Robert Kiyosaki has been a staunch supporter of network marketing. Like many people, he was skeptical about the industry at first ... until he learned firsthand what network marketing is all about: helping people. In his latest book, the author of the phenomenally successful Rich Dad Poor Dad series shows why network marketing is indeed the business of the 21st century. Robert shares the eight wealth-building assets offered by network marketing that allow you to take advantage of these tough economic times to build a strong financial future and happier life. John Fleming, the publisher of Direct Selling News, and Kim Kiyosaki, author of Rich Woman: A Book on Investing for Women, join Robert to share their thoughts on why network marketing is the perfect opportunity for both men and women.